Edna Reavis Hammontree, age 84 of Ball Ground, Georgia, passed away Wednesday, December 5, 2018 at Pruitt Healthcare in Jasper. She was born August 14, 1934 to Olen and Isabelle Reavis. 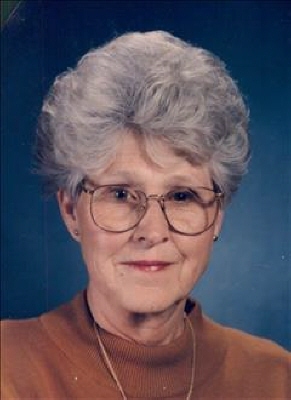 She worked as a Paraprofessional in the Pickens County School System for many years. Survivors include her husband, Charles Hammontree of Ball Ground; daughter and son-in-law, Sue and Mike Gibbons of Ball Ground; grandson, Charlie Gibbons; and several nieces, nephews and other relatives. Mrs. Hammontree was preceded in death by her two sons, Bryan Hammontree and Danny Hammontree. Funeral Services will be held 11:00 a.m., Friday, December 7, 2018 at Free Hope Baptist Church with Reverend Johnny McPherson officiating. Edna will lie in state at the Church from 10:00 a.m. until 11:00 a.m. Interment will follow the funeral in the Free Hope Baptist Church Cemetery. Grandson, Charlie Gibbons will play Amazing Grace on the trumpet at the graveside. The family will be receiving friends at Roper Funeral Home, Thursday, December 6, 2018 from 4:00 p.m. until 8:00 p.m. The family will accept flowers or donations in Edna's honor may be made to the Muscular Dystrophy Association at PO Box 97075 - Washington, DC 20090-7075. To send flowers or a remembrance gift to the family of Edna Reavis Hammontree, please visit our Tribute Store. "Email Address" would like to share the life celebration of Edna Reavis Hammontree. Click on the "link" to go to share a favorite memory or leave a condolence message for the family.